An issue we come across when redesigning landscapes with existing deckwork, is if we should resurface rather than rebuild. 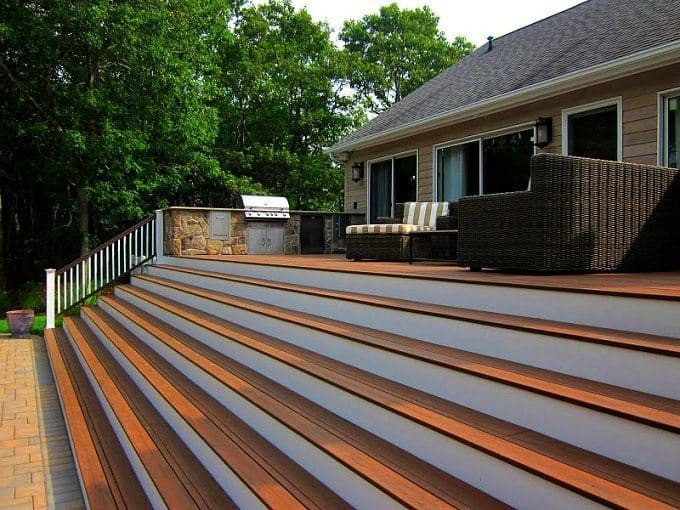 Every wood deck has a limited lifetime – it’s just the nature of the material. However, if you’re considering rebuilding a deck as part of your project, you may find there isn’t a need to tear it down completely. Why build a new deck when you can use the framework already in place? When the foundation and substructure of a wood deck is still in good shape, simply resurfacing the structure can give you the results you want!